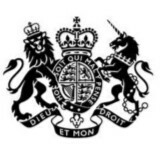 Cabinet Office supports the Prime Minister, and ensures the effective running of government. Looking for a rewarding alternative to university? The Fast Track brings you into the Civil Service and helps develop your career. Apprentices Skeena and Peter share their experience. Minister Chris Skidmore highlights initiatives across the UK to get young people engaged in our democracy.